April 18, 2015 June 24, 2015 Gary GambleTrailers, upcoming releases to watch out for . 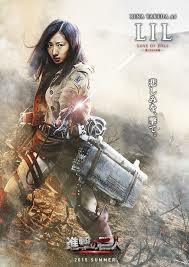 After being blown away by the Manga series,the live-action adaptation of Attack On Titan has been high up on my watch-list. At the start I did have my worries and fears that it wouldn’t work as a film, but the first teaser trailer put any of those fears to bed. Attack On Titan (Manga) is available for streaming on both UK/Ireland and USA Netflix…. Expect more updates as they are announced. Enjoy the new trailer for live-action Attack On Titan .